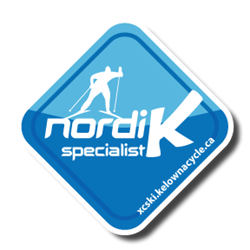 Provide training opportunities and support for members who have an interest in competitive skiing and/or participation in community-based Nordic events such as the Apple Loppet. We are seeking a General Manager who will ensure operations at Telemark Nordic are efficient and aligned with the club’s mission, vision and strategic plan. In addition, we seek a candidate who will take initiative; is skilled in leading teams; and will work collaboratively with the board of directors to achieve the mission and strategic goals of Telemark Nordic. Enthusiasm for working with the Board, volunteers, and members to achieve goals. Some mechanical ability to do minor repairs and service equipment. Remuneration commensurate with qualifications. Please send resume and cover letter to Lanita Platt, Vice President, Telemark Nordic Ski Club, lanitaplatt@gmail.com. The posting will close on June 30th, 2018.